As bold as they are beautiful, our 2 Litre dahlia plants mean you can create big impact in a small space. Perfect for those compact spaces that still need a splash of colour, LaBella® Maggiore flowers for longer periods than other varieties, and it’s easy to look after too. We’ve always loved dahlias, and our experts are thrilled to have grown these sturdy, compact little numbers. Those deep, cerise pink flowers capture attention instantly, so they’re perfect for creating the ‘wow’ factor when you’re entertaining in your outside space. 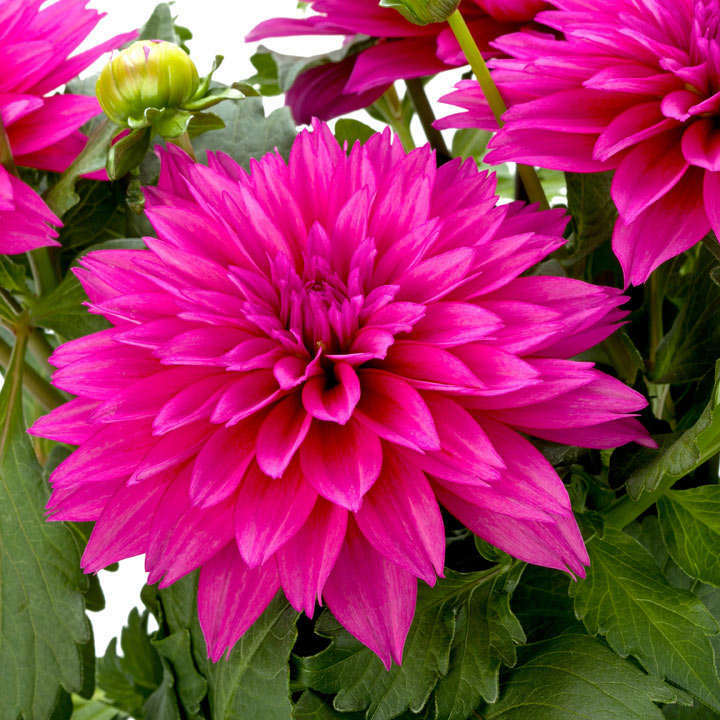 Thanks to their compact stature, these pretty dahlia plants are less likely to break and bend. Perfect for the urban garden, LaBella® is supplied in a 2 litre pot, so you’re free to pick a position in your garden, on your patio, or even on your balcony. Better still, it’s available in a selection of bright, happy colours. Our compact dahlias have been the focal points of gardens across the nation since they were introduced, and they’re a fuss-free way to add a touch of colour to any outside space this summer. Flowers July-October. Height 60-70cm. Supplied in a 2 litre pot. A beautiful dahlia plant in a 2 litre pot, perfect for any outside space. Our team of experts were thrilled to introduce sturdy dahlia plants perfect for urban gardens. With longer flowering periods, they’re easier to care for than other dahlias too. Their compact size means they’re sturdier than traditional versions of the dahlia plant, so you’ll find LaBella less likely to bend or break. LaBella Maggiore is the kind of plant that creates instant ‘wow’ factor in your outside space, and it flowers between July and October. If you love bright, head turning blooms that last all summer, this one’s perfect. Whether you’re dreaming of a touch of colour on your patio, or something different for your decking, dahlia LaBella makes a gorgeous focal point.